West Bengal tourism is bolstered with many interesting destinations and Sunderbans is one of the major attractions of the state. It preserves world's largest mangrove forest, delta and vast saline mud flats at the lower end of West Bengal. This is the land of fifty four tiny islands, interspersed with tributaries of the Ganges. The region which was once influenced by Portuguese pirates is now the abode of varied flora & fauna. Sunderban is neighbored by river Muriganga as well as rivers Harinbhahga and Raimangal. Other major rivers flowing through this eco-system are Saptamukhi, Thakurain Matla and Gosaba. Unlike other wildlife parks, with roads, jeeps & guides here visitors will find themselves holding their breath as their boats are gliding through the creeks and rivulets, bordered with mangrove forests. These forests are sheltering precious natural wealth in the form of wild animals. This is a one of its kind region where there are no borders to divide apart from water and salt fields. There are many chances to spot a crocodile quietly waiting for her prey in the waters, or a deer running to save himself from the chase of predators. Royal Bengal Tiger is the real wealth of Sunderbans which is located half in Bangla Desh and fifty percent in India. If you are lucky then you can spot the king of the jungles from a few meters. 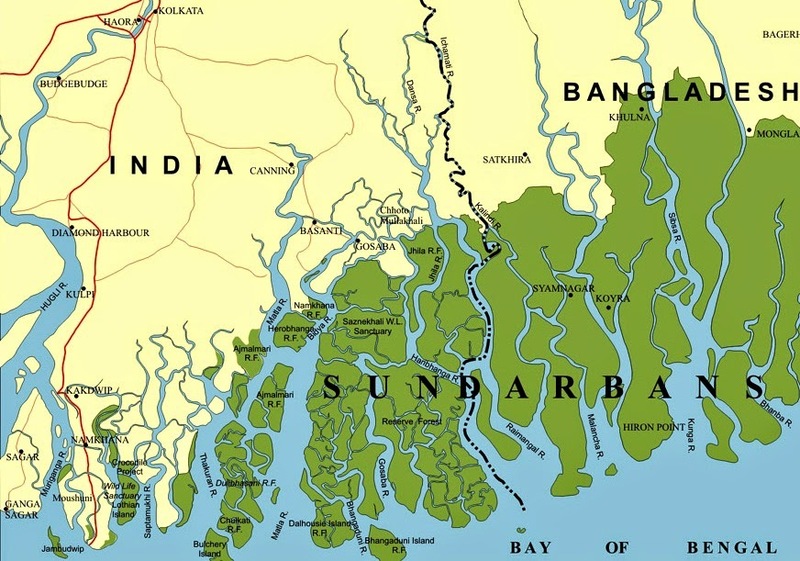 Sunderban is well known for its sundari trees which might be the reason why this region is named like this. These trees hold together the small islands of mud, on which they grow. It is abondoend with large variety of plants like genwa, dhundal, passur, garjan and kankra. Sunderbans has plenty of other natural wealth like Jungle cats, Fishing cats, Axis deer, Wild boar, Rhesus monkeys and Mongooses. Being a marsh land reptiles like crocodile, snakes and pythons are commonly seen here. If you are tired of visiting similar places then visit Sunderbans for a change, and book rooms at United-21 resort in Sunderbans where you can spend a memorable vacation.